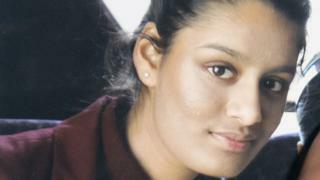 Shamima Begum: Will she return to the UK? The government has made a move to try to stop Shamima Begum - who left the UK when she was 15 to join a group that calls itself Islamic State (IS) in Syria - from returning to Britain. Now - aged 19 - she has a baby and would like to come back to the UK. But the government has written a letter to Ms. Begum's mother to say that it intends to take away the 19-year-old's British citizenship. This would mean that she would not be able to come back. IS is a banned terrorist group based in the Middle East whose members have extreme religious beliefs. It uses brutal violence against anyone who doesn't agree with its views. People have different opinions about whether or not she should be allowed to come back to the UK after what she did. International law says that the UK has to let a British person back in if they have not claimed another nationality. But it is believed that Ms. Begum could be eligible for Bangladesh nationality, so the government says it is able to do this. The Begum family has said it intends to challenge the decision. 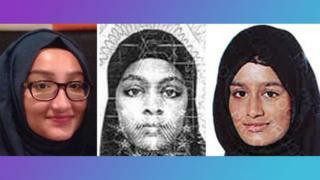 Shamima Begum was one of three teenage girls who left Bethnal Green in east London to join IS, which is also known as Isis. The girls travelled to Turkey and, from there, were smuggled into Syria. Once in Syria, she married an IS fighter and lived in the city of Raqqa, which was a IS-controlled city. However, over recent years, IS has become weaker and lost a lot of land in Syria and Iraq. Eventually, Ms. Begum and her Dutch husband fled from the airstrikes in Raqqa and ended up in Baghuz - the last major area IS had control of, in eastern Syria. Less than a month ago, she escaped from here. Where is Shamima Begum now? Currently, the nineteen-year-old is living in al-Hawl refugee camp in north-eastern Syria with her new baby. Reports say that she had two other children during her four years in Syria, but they have both died. In a recent interview with Sky News, Ms. Begum said: "People should have sympathy towards me for everything I've been through." She was asked if she thought she had made a mistake by leaving the UK to join IS. "In a way, yes, but I don't regret it because it's changed me as a person," she said. "It's made me stronger, tougher. I married my husband. I wouldn't have found someone like him back in the UK." However, when the BBC asked Ms. Begum about the attack on an Ariana Grande concert at the Manchester Arena that killed 22 people in 2017, she said that while she was "shocked", she thought it was "retaliation" for military assaults on IS areas in Syria. It is thought that her husband has surrendered to a group of Syrian fighters. "I had my kids, I did have a good time there. It's just that then things got harder and I couldn't take it anymore," she said. Many people are divided over whether or not she should be allowed back to the UK. Some say that she was just a young girl when she left and that she was not fully in control of the decisions that she made. They say she was made to think a certain way by IS members. But others think that she was old and responsible enough to make the decision that she did and that she should have to deal with the consequences of her actions. Over 40,000 citizens from 80 countries have become affiliated with IS in Iraq and Syria. Around 5,000 of these came from Europe and about 850 from the UK. Sir Peter Fahy, a retired senior police chief who worked on terrorism issues, told the BBC that he could understand if the government wasn't hugely interested in helping her, as she does not appear to be very sorry for what she did. The situation is made more complicated by the fact that, at 15, Shamima was legally a child when she left the UK, but now - at 19 - she is an adult. Another factor that needs to be considered is that she has had a baby, who is entitled to become British. Speaking to the BBC on Monday, Ms. Begum said she was ready to go to prison if she is allowed to return. Will Shamima Begum return to the UK? The UK government is trying to stop her from being able to return to the UK. 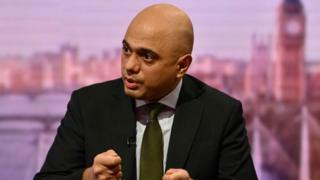 Writing in The Sunday Times, Home Secretary Sajid Javid had said he would "not hesitate" to prevent the return of British people who left the country to join IS. But he called it a "difficult challenge" to decide what to do with those who want to come back. A letter sent to Ms. Begum's mother on Tuesday obtained by ITV News said that the UK government intends to take away her daughter's British citizenship, which would mean that it doesn't have to let her come back to the UK. "Please find enclosed papers that relate to a decision taken by the Home Secretary [Sajid Javid], to deprive your daughter, Shamima Begum, of her British citizenship," it said. It also asked the family to tell her about its decision and said that she had a right to appeal against it. Government sources have said it was possible to do this as Shamima Begum was eligible for citizenship of another country - Bangladesh. Shamima Begum's mother is believed to be a Bangladeshi national, which would mean that under Bangladesh law, her daughter, Shamima, would be too. But her family's lawyer told the Independent newspaper that the Bangladeshi government "does not know who she is". In a statement on Twitter, the Begum family has said it will be challenging what the government has done. A legal expert, Lord Carlile, told the BBC on Wednesday that might be a "difficult challenge" as the UK government appears to have acted within the law, if indeed Ms. Begum is entitled to Bangladesh nationality. "This is a complex issue and it could run for a very long time through the courts," he said. "I suspect that the result is going to be that she is going to stay where she is for, maybe, two years at least." What will happen to Shamima Begum's baby? As for the baby, it is very complicated. Lord Carlile explains: "The baby is entitled to British nationality. The baby is probably entitled to Bangladesh nationality and the baby's father is Dutch." He says that this means if he says Shamima Begum's baby is his son too, as appears to be the case, then the UK government could say the baby cannot come to the UK either, as he is able to become Dutch. "I would not expect this potentially complex case to be finished very quickly. I think the likelihood is [Shamima] is going to remain where she is in the refugee camp with her son for quite a long time," explains Lord Carlile. IS is in a very different position now to when Ms. Begum fled to join the group back in 2015, when it was at the height of its power. From early 2014, IS grew quickly, using the internet and social media to recruit followers and spread fear. It was able to take over large parts of Syria and neighbouring Iraq, declaring this as their own state and punishing anyone who didn't follow their strict rules. The group claimed responsibility for attacks on countries around the world, including in France, Belgium, the US, Spain and here in the UK. Many countries responded by uniting in their desire to stop IS. Over the last two years, the group has been greatly weakened. Now, it has lost most of the areas that it took over, including its strongholds of Mosul in Iraq and Raqqa in Syria. Between 1,000 and 1,500 fighters are believed to be left in a 20-square-mile area near Syria's border with Iraq. But Lord Dannatt, a former head of the British Army, told Sky News that IS has not been "100% defeated". "The ideology, the thinking, the support behind it, that is going to continue and that will remain the struggle for this generation, perhaps even the next generation as well." Fighting continues in north-eastern Syria. But also if the baby returns, who would look after it?! I feel a bit upset because of the three pictures that the police released when the three girls moved, Ekk! I`m not sure if Shamina should return but the baby should. You sound like you need to talk to someone about what you are going through at the moment. You could speak to a family member, a friend, a guardian or a teacher. If there’s really no one you feel you can speak to, you can speak to a ChildLine counsellor by calling 0800 11 11 (calls are free), visiting their website at childline.org.uk, or by downloading the free ChildLine app, called For Me. Try to talk to someone as soon as possible. It might surprise you how much better it feels when you share a problem. I’m not sure if shamina should come back, probably not, but let the baby return, the baby did nothing wrong! I think Shamina shouldn't be allowed back, and if she is, she'd have to be watched very closely. After all, she came back from a TERRORIST group. I think the baby should be allowed to stay in the UK, he/she has done nothing wrong. The Government is only trying to protect everyone who lives here in the UK. I think the Government made the correct decision not allowing Shamina to return to the UK. The only reason this was because was to protect the people who live in the UK. However, I think Shamina's child should be allowed to come here, as it has done nothing wrong. I think if she shown some remorse then they should let her come back. If she allowed back then she should be watched very closely.